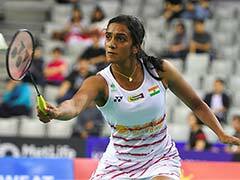 Premier Indian badminton player PV Sindhu was knocked out of the Malaysia Open 2019 as she lost 18-21, 7-21 in straight games to South Korea's Sung Ji Hyun in second round on Thursday. 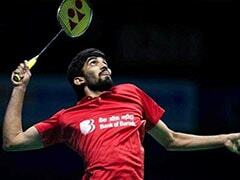 In the men's singles category, eighth seeded Kidambi Srikanth outclassed Thailand's Khosit Phetpradab 21-11, 21-15 to advance to the next round. The fifth seeded Sindhu was the last hope for India in the women's singles category after her compatriot Saina Nehwal crashed out of the tournament in the first round. Following the loss, the head-to-head battle between Sindhu and her South Korean counterpart stands all square at 8-8. Interestingly, Sung Ji Hyun had knocked out PV Sindhu at the All England Championships 2019 and Hong Kong Open 2018. The last time Sindhu overcame Hyun was at the BWF World Championships 2018. In the Malaysia Open, which is being held at Kuala Lumpur, the first game between Sindhu and Hyun remained neck and neck before the South Korean went on to close it by a narrow margin. In the second game, Sindhu looked out of touch from the onset, causing to too many unforced errors as Hyun capitalised on her lead and sealed the match in 43 minutes.